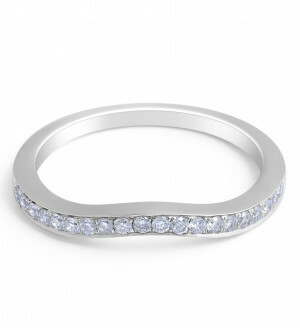 This modern 18 Karat White Gold Diamond Wedding band is set sparsely set with 6 beautiful sparkly diamonds all around the band to give the ring an elegant and classic appeal. A great choice ring for the discerning modern man and woman who is after a timeless and sophisticated design. Divine 18 Karat white gold diamond wedding band exquisitely set with 18 radiant round brilliant diamonds in a fine claw setting. The fine slim band gives the ring an elegant and classic finish. 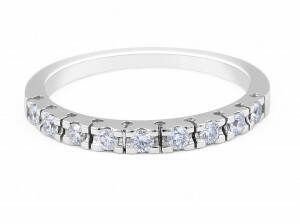 This modern and delicate 18K white gold diamond wedding band has 20 diamonds totalling 0.21 carat in a Pave setting. A subtly curved shape gives a lovely and organic feminine touch to the band. 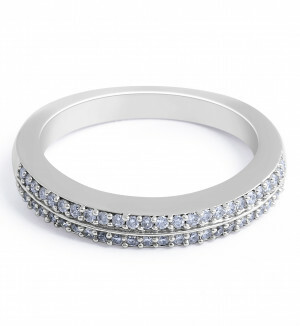 This ring suits a woman who obtains timeless and feminine style. This traditional style 18 Karat White Gold Wedding Band is beautifully set with 9 radiant round brilliant diamonds set in smooth cornered claw setting giving it an elegant and sophisticated look. 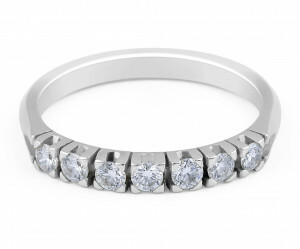 This 18K white gold diamond wedding band has 52 round diamonds totalling 0.28 carat in claw setting. The design gives an impression of having two rings side by side. 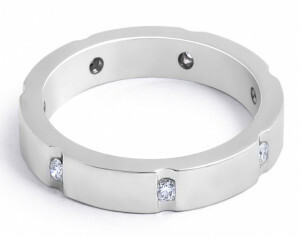 The profile if the ring is risen and it works wonderfully combined with an engagement ring or as a stand-alone piece. 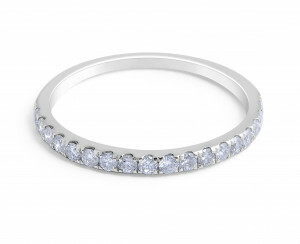 The ring would suit for a woman whose style is timeless. 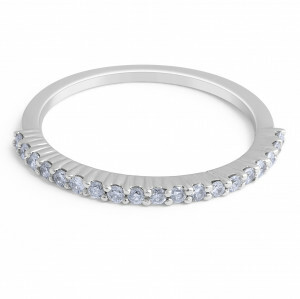 Modern and luxurious brushed wedding ring with micro pave set diamonds set in a middle and asymmetrically on the sides. Slightly rounded profile and tapering towards the back. Splendid traditional style 18 karat white gold diamond wedding band exquisitely set with 5 sparkly round brilliant diamonds totalling to 0.52 Carat. 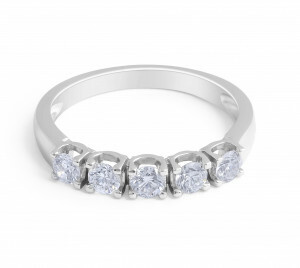 The fine claw setting and solid band gives the ring a classic and elegant finish. This classic 18K white gold diamond wedding band has a beautiful row of 19 share prongs set round diamonds totalling 0.24ct. This delicate and elegant design is a perfect companion for an engagement ring. This ring suits a traditional woman whose style is elegant. This traditional 18 Karat White Gold Wedding Band is set with 7 beautiful sparkly round brilliant diamond in a claw setting. This elegant timeless setting makes the ring a perfect choice those looking for a classic and traditional wedding band design! 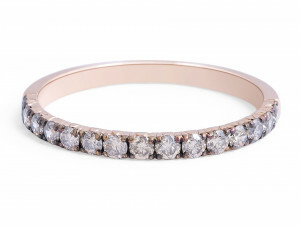 This mesmerising 18 Karat rose gold diamond wedding band features 15 gorgeous round brilliant cognac diamond totalling 0.50 Carat, marticulously set in a pave setting.